Recovery is like a bridge, spanning from the life of substance use and addiction to the land of clean and sober living. The waters it crosses are treacherous and turbulent, beating against that bridge with every step you take. Without strong supports, the bridge of recovery could give way and plunge you into temptations, dragging you under the waves of relapse. While any person can be a support, some are better suited for your recovery system than others. 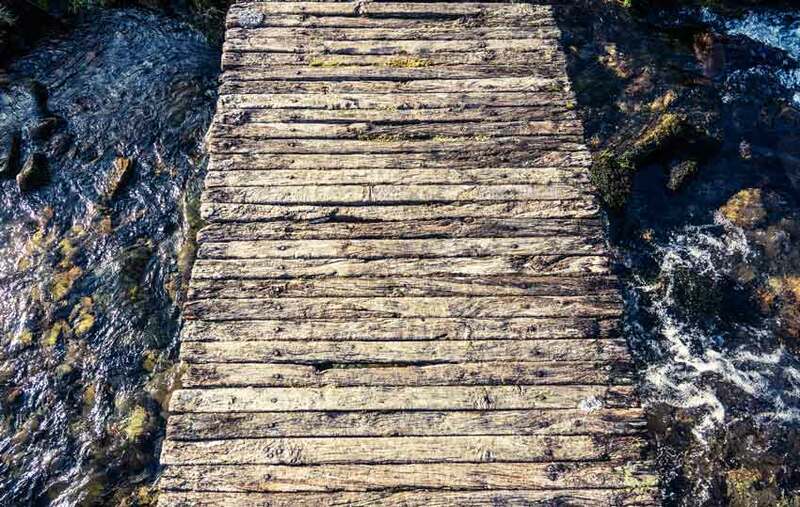 A bridge could be built using bricks and branches that have been worn down by heavy use, but there would be little stability. Such is the case when you return to the friendships and relationships from your substance abuse days. Those people like and may even love you, but they are worn by the stress of their own addictions. Their attention and focus isn’t on being helpful to your recovery—it’s still trained on fulfilling their own needs. Difficult as it may be, there needs to be a change in the energy of the people you surround yourself with. There is sage advice that says, “You cannot heal in the same environment that made you ill.” The people that surround us affect us in ways we don’t even realize. Making sure those people have your health and sobriety at heart is paramount to your success. It is important to choose your support system carefully, but finding people worthy of the task can seem daunting. Knowing where to look is the key! This is something that will remain constant. You cannot change your DNA and become part of another family. Sometimes, however, family can be toxic. If your family is an environment of substance use and addiction, then looking outside this primary circle is necessary. In most cases, however, the family is the first place to seek out people for defense against relapse. They become the strong base of all moral support to ensure recovery is a safe bridge to cross. They are the foundation planted firmly in the bedrock. Family are also the ones who have been hurt the most by your substance abuse and its subsequent fallout. If your family needs some tips for how to best help you in recovery, there are a number of options available for them to learn skills so they become your biggest asset! The first people you bond with when beginning your recovery journey are those in similar situations within the inpatient facility. Everyone understands what you’re going through because they have been or are still going through it as well. You feel the same fears and take the same first steps together toward your new sober lives. However, you should respect individual preferences. Some people may be embarrassed about being in inpatient recovery and not want to associate with others who will give away the fact they were at that low place in their lives. Or, some who were close during rehabilitation grow apart outside the doors of SGC. In any case, the other patients and staff here share your goal, and that is a good starting place. If you are comfortable, and are both willing, support from others who were there from the beginning is invaluable, as is support from others going through the same experience. Along the same thread, there are many groups that meet to support each other through their respective sobriety journeys. Some are anonymous, while others are created through shared inpatient facilities. There is even a possibility your family physician has information on groups sponsored by the local hospital. If your searches come up empty in your area, maybe there is a need. Consider starting a support group to help others, or suggesting it to St. Gregory staff members. There may be resources they have access to that could help fill that need. If you practice a religion, there are likely people in that community who would be beneficial in your recovery journey. Having a similar situation or substance use problem isn’t necessary for someone to inspire and motivate you. Reassurance from someone that God still loves you regardless of your past and your choices can do more for mending the hurt within than you may realize. Talking about your feelings and fears with someone—especially if that person shares your values and spirituality—brings another dimension to your recovery. Helping others is contagious. When you receive help and support from people, you want to give back. When you volunteer alongside others, you know they share your values and care about others. This is a great indicator that they would be supportive and helpful for their fellow volunteers as well. Whether it’s serving food at a church or shelter, walking dogs for an animal rescue league, or picking up trash from the ditches along the highway, volunteering is good for the soul and the spirit. When you feel good about doing something good, you’re not trying to find a substance to mimic the good feeling. There may be volunteer opportunities helping out at a school, library, or even the local 4-H club. Reading to children or the elderly, delivering meals and smiles to home-bound seniors, or sharing what you know (skills, experience, or talking with students about the dangers of substance use) are all important and invaluable—and there are NEVER too many people helping out in any of these areas! Many people discover a healthier lifestyle after going through rehab. They learn that eating the right foods can not only curb cravings, but can make the body feel better in general. They take up meditation, yoga, or exercise. All of these things are perfect for like-minded people to do in a group or class setting. As you learn the skill, you gain an entire network of people to draw from for support. It’s important to mention that in many of these cases, the people you interact with don’t have to know your recovery story unless you choose to share with them. Sometimes being a friend and sharing common interests is all you need from a person to make them an important addition to your support system. Know that being accountable to someone doesn’t necessarily mean they are aware. It could be a simple request for a reminder call the day before the next class or volunteer opportunity. You’ll get that call and remember people are counting on you to be somewhere to do something and will miss you if you’re absent. If and when the opportunity arises or the situation feels such that you choose to explain your recovery journey to them, so be it. Having friends who are “out of the loop” so to speak has benefits too. They are just as beneficial to your emotional well-being as those who realize what you’ve been through and are just as capable of picking up your spirits on a bad day. Leaving behind the people who enabled and supported your substance abuse does not mean you will be without friends. Sobriety isn’t a lonely place, it’s simply being more selective and choosing quality people to associate with. To learn more about St. Gregory Recovery Center, and our Iowa treatment programs, call and speak with someone today, at (888) 778-5833.